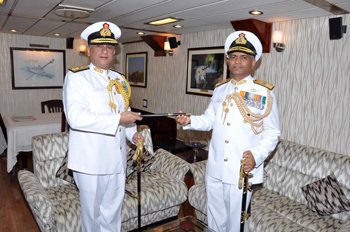 October 14, 2016: Rear Admiral B Dasgupta, YSM, VSM took over command of the sword arm of Indian Navy, the Eastern Fleet, from Rear Admiral SV Bhokare, YSM, NM at an impressive ceremony held today, 14 Oct 16 in Naval Base, Visakhapatnam. 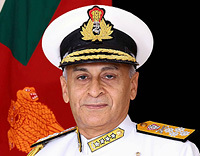 Rear Admiral B Dasgupta, a specialist in Navigation and Aircraft Direction, is a Graduate of National Defence Academy, Khadakvasla and has undergone the Command and Staff Course at Dhaka, Bangladesh. He is an alumni of Army War College, Mhow where he has undergone Higher Command course .In addition, the Flag Officer holds a Masters’ Degree in Defence and Strategic Studies from the Madras University. The Flag Officer has commanded INS Viraat, INS Tabar, INS Karmukh and INS Nishank. 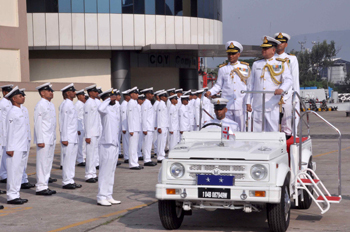 He has also held various prestigious Staff and Operational appointments including Fleet Operations Officer of the Western Fleet, NA to the Chief of the Naval Staff, Directing Staff at Defence Services Staff College, Wellington and Commander Work up at Indian Naval Work up Team. 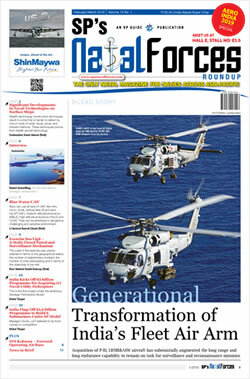 Prior taking over the command of Eastern Fleet, the Flag Officer was serving as Chief Staff Officer (Operations) of the Western Naval Command. The Eastern Fleet today comprises of over 25 warships, which include Destroyers, Stealth Frigates, Amphibious Ships, Anti Submarine Warfare Corvette, Missile Corvettes, Offshore Patrol Vessels, Missile Boats and Tankers. Under the Command of Rear Admiral SV Bhokare, the Eastern Fleet, over the last 12 months, had maintained a very high tempo of operations at sea encompassing participation in major exercises both within Indian and International waters. The Eastern Fleet ships were actively deployed from as far as Gulf of Aden to Russia and Australia. 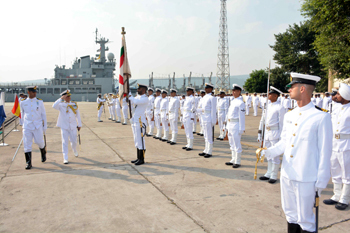 During this period, the Eastern Fleet also played a pivotal role in the conduct of International Fleet Review 2016, wherein 97 ships including 24 ships from foreign navies participated. 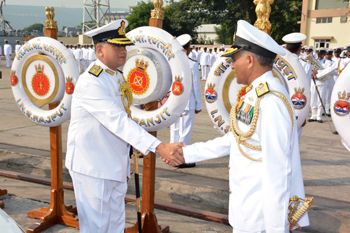 Rear Admiral SV Bhokare now takes over as the Commandant of the Indian Naval Academy at Ezhimala, Kerala on promotion to the rank of Vice Admiral.